Two Chapter Sample from The #1 New York Times Bestselling book, Smart Money Smart Kids. Dave Ramsey is America’s trusted voice on money and business. His four New York Times best-selling books –Financial Peace, More Than Enough, The Total Money Makeover and EntreLeadership – have sold more than 7 million copies combined. The Dave Ramsey Show is heard by more than 6 million listeners each week on more than 500 radio stations and iHeartRadio. Rachel Cruze is a seasoned communicator and presenter, who has been speaking to groups as large as 10,000 for nearly a decade. 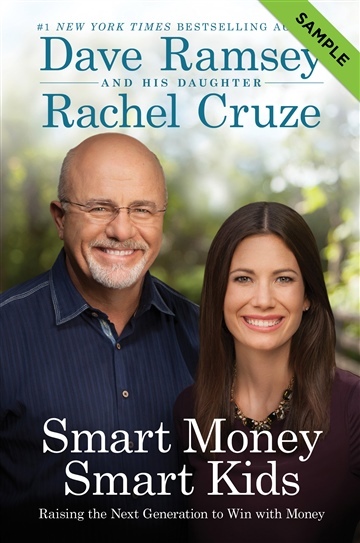 The daughter of Dave Ramsey, today she uses the knowledge and experiences from growing up in the Ramsey household to educate America’s students and young adults on the proper ways to handle money and stay out of debt.